While the term resilient flooring can be applied to several different types of flooring, it usually refers to vinyl. The standard definition of resilient flooring is a flooring that is firm but has some give. This can apply to vinyl, linoleum, rubber, and cork. This combination of elasticity and strength gives it a unique advantage over other flooring types. There are several reasons why you would choose a resilient flooring. It is easy to maintain. Resilient floors are easy to clean and maintain and are resistant to water and stains. It is extremely durable. It holds up well in both residential and commercial settings, making it ideal in heavy traffic areas where dirt, mud, and heavy wear are an issue. There is a huge spectrum of vinyl products out there, from low-end sheet vinyl to high-end luxury vinyl that makes it easy to find a resilient product that fits into your budget. The give makes it more comfortable underfoot than other hard flooring options, like hardwood. This is great for areas where you’d be standing for long periods of time. It also makes it ideal for kids and the elderly, where slips and falls may be an issue. It is easy to install. The type of installation is dependent on the type of resilient flooring you choose, but in general vinyl flooring is one of the easiest to install. There are even several types that can be done yourself. There is a huge variety in terms of style and colors to choose from. You can replicate any other flooring type with it, making it ideal to match your house and decor. 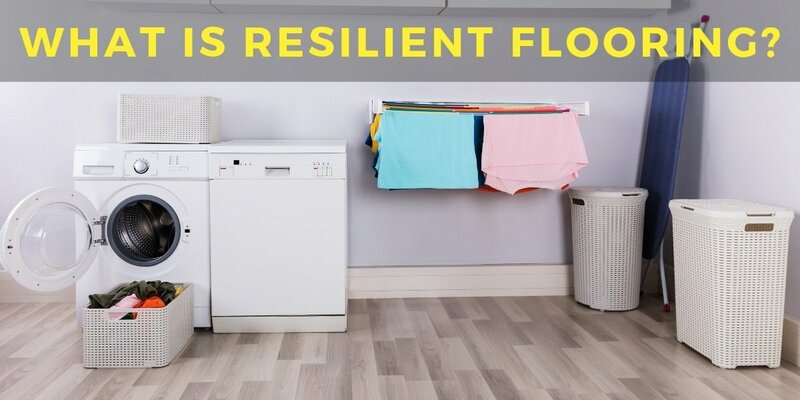 Resilient flooring is a great, versatile flooring that works well in many different situations, including mud rooms, laundry rooms, kitchens, bathrooms, basements, and even commercial buildings. Stop by Carpet Depot and check out our selection of resilient flooring today.